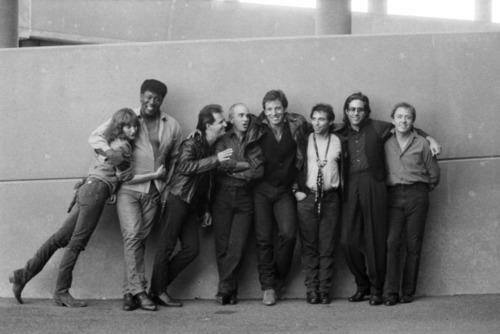 E Street Band | Better days! Please open your heart for thousands and thousands of sincere good wishes coming your way today. May this be a peaceful day and the start of a great new year. May there be sunshine wherever you are. And if not, may the clouds be enfolded in thick, heavy silver linings. May your redheaded woman be by your side. And may things be really good between the two of you. May your children shower you with love and care today and always. You made them a priority from the very start. In my mind it is one of the greatest gifts one can give your children. May you be surrounded by good, real friends. 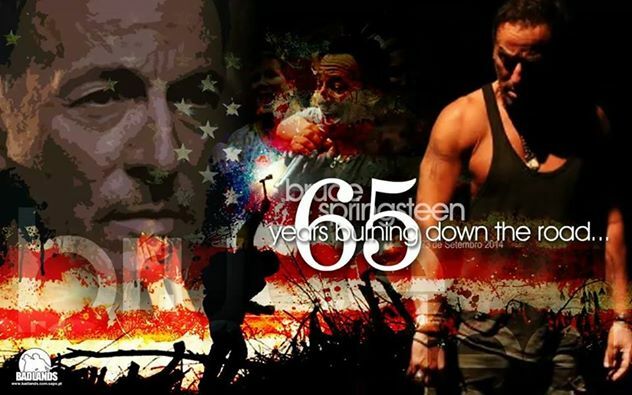 May the E Streeters never be far away. May you always remain blood brothers. May the creative juices never cease to flow. May your health stay as good as it apparently is. Please, please continue to look after yourself really well. And do consider skipping the crowd surfing. We do love it, but we love you more. Please consider another tour. But first consider your health. Please consider to visit South Africa again. I don’t think you have been to the Kruger Park. 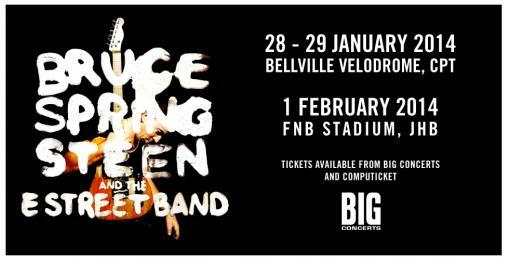 But firstly come to Cape Town again! Thank you for another year of giving freely to your fans. We treasure the example of love, energy, passion, some good solid common sense, creativity, joy and deep humanness that you show us. Please be with us for a very long time to come. 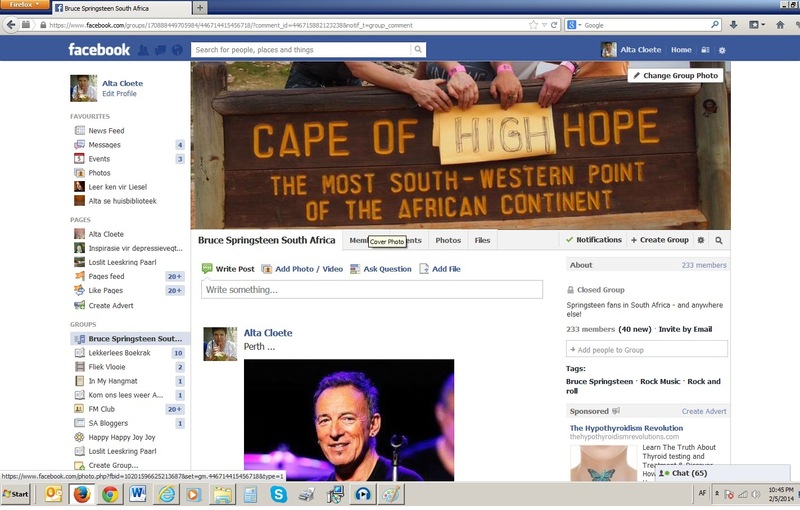 When I was privileged to see Bruce Springsteen for the first time in the UK in 2012, I never thought for one moment that he would ever come to South Africa. For that matter, when I became a fan in late 2009 I never thought I would ever get to see him live. Last night I felt like an experienced fan. Gone were the anxiousness, the jitters and the fear of the unknown of Sunday night. In was the heady feeling of something great drawing near. I knew the venue, how the process of entering is handled (although they made some changes), where I like to stand, what to expect of the audience. This short post was written about three years ago. 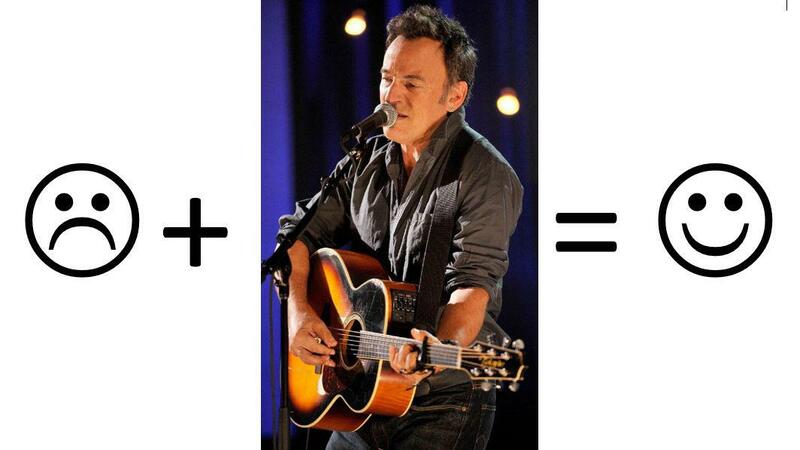 In the meantime I have learned a lot about Bruce. And I still feel the same. He seems to be a devoted husband and dad, conscious of his health, good at keeping long-term friendships, respected as rock’s decent guy, always attentive at interviews, always ready for some fun. What really earned my respect, was when I read how he tackled his out of control life after the BITUSA hype and worked hard to create a more balanced life. 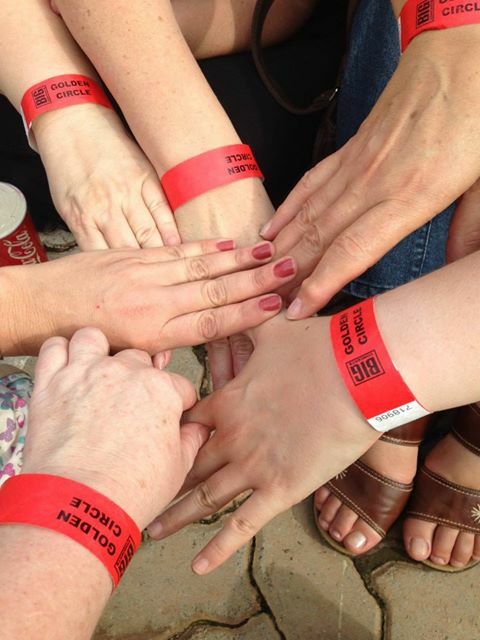 To me this picture symbolizes the lasting friendship among these eight people. There must have been occasions when things did not go that well. There must be some personalities that do not gel that well with certain others. But over the years they managed to not only keep in touch, but to maintain that special something which make them so special as the ESB. 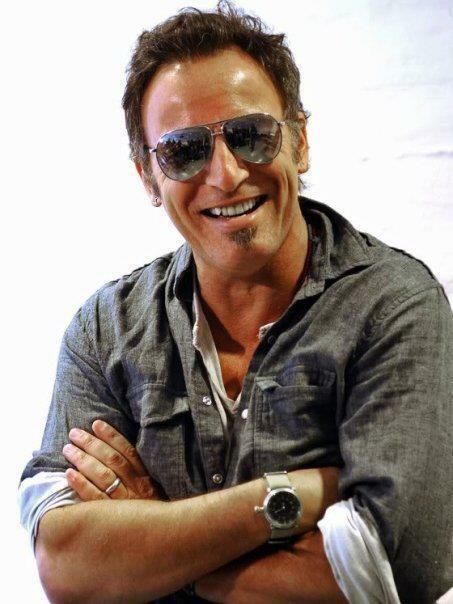 I am sure the band members had lots of negative feelings when Bruce basically sacked them to work on his marriage with Patti and building a family. I have only read of Clarence who said something in the press about it and even then it was without malice. Recently I have read about Bruce saying he was just no good to them at that stage. I am sure as time went by they realized that and respected him for his decision. The way they all came back when the time was right never seizes to amaze me. Surely the time apart gave each one the opportunity to build his own life, find other ways of earning money and expressing himself, to work on their own families. The wonderful thing among wonderful things is that all of them survived in the big world outside the ESB, all of them were there when it was the right time for the reunion. Healthy relations are crucial to human beings. We need to work on that and not take it for granted. Without people to really connect to, we are more susceptible to all kinds of dangers, among which is certainly depression. We need to work on surrounding us with people who add value to our lives and try to avoid the negative ones who only take value away. Of course it is not always possible, but at least we can try. I always like the image of Bruce personally calling each band member when he had to tell them he wants to go forward on his own. It must have been very difficult for him, but he did not send Jon in to do it of let them read about it in the press. Communication is vital to healthy relationships, we all know that. Unfortunately most of us also knows how difficult real communication is. Let’s keep the band’s example in mind and work hard to follow their example of investing in the important relationships in our lives. The best kind of maths! Great new documentary for Bruce fans! 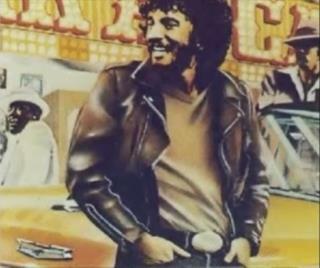 A few years ago I – being a lone fan in a country where Bruce’s work before and after Born in the USA is little known – to my delight discovered Julian Garcia’s Springsteen show Groove it all night on Home Grown Radio NJ. This led to numerous exhausting nights, as the time slot was for me in South Africa between 3 and 5 in the morning in winter (if I remember correctly) and between 4 and 6 in summer. Only true fans will understand somebody doing this! 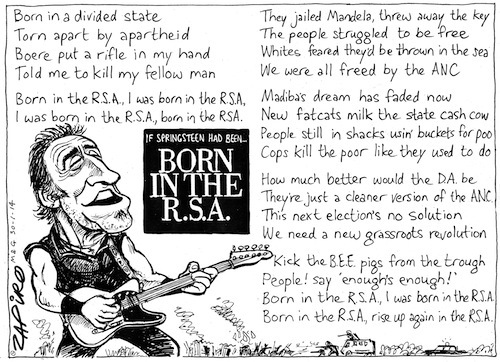 By the time the programme was discontinued due to the barrage of Springsteen activities 2012 brought with it, I had luckily also discovered Tom Cunningham‘s Bruce Brunch on 105.7 The Hawk (which falls right in the time when ordinary South Africans take their Sunday nap). 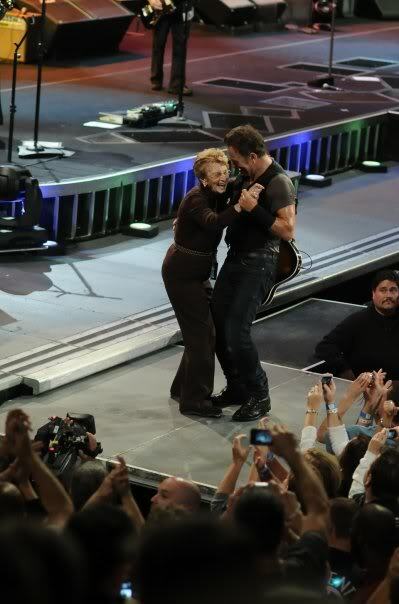 Top ten Springsteen love songs … some interesting choices. 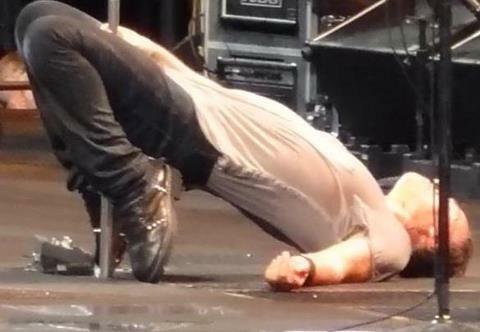 Only Bruce can do this. Great thanks to the unknown artist! I just love this pic and the way Clarence and Stevie are just behind him. It says such a lot. I do hope Bruce with his years of experience can handle the disappointment better than us! Luckily we do not need any awards to show us the value of his music and the example of a fine human being that he sets us. 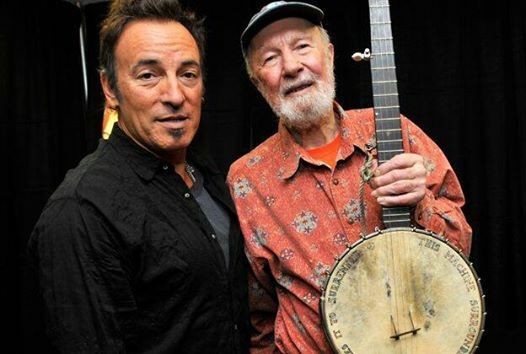 Once again: Thank you, Bruce! 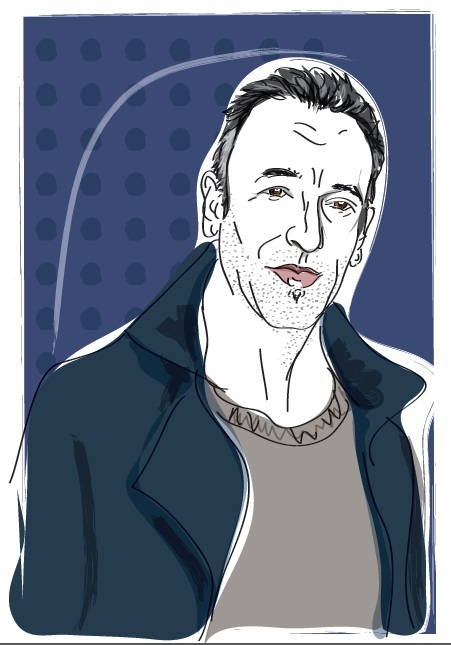 Bruce Springsteen’s decision to take antidepressants was coloured by the fact that his father didn’t or wouldn’t. But it took a lot of psychotherapy for him to reach that point. That is the stark admission we get from Bruce, the recent biography by Peter Ames Carlin. 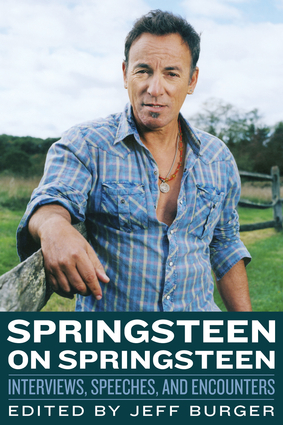 While the book wasn’t authorised per se, Springsteen gave Carlin countless interview hours, facilitated meetings with family and friends, and opened up his personal scrapbook to the author. This is my first read of a Springsteen biography. Overall experience with books about him has not been too good. With the exception of the Big Man’s book. Which in fact did not say that much about Bruce. Thus Bruce is a real experience to me. I have not finished it yet, is reading and digesting in small parts. I feel the author has really tried to portray the man in all his greatness and humanity. I do not find attempts at sensation. Or maybe it is because there is so little stuff for sensation is his life. 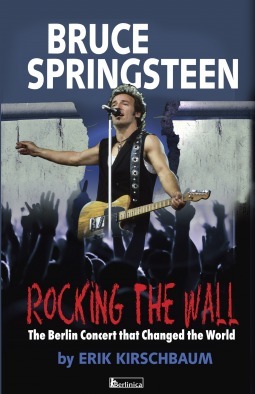 Full report later – enough to say that I think this book is an absolute must for every Springsteen fan. 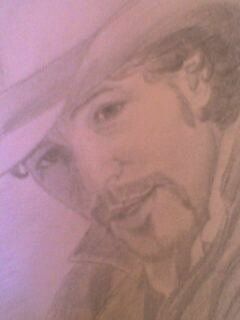 Sometimes I miss my boring life-before-Springsteen. I really don’t like all my emotions when these dates just start to roll out. Should I try to attend a show? Should I spend the money and take the stress? Should I wait and hope he comes here? What if the man totally overworks himself? What if … a hundred things … I am not even going to think any further. WHERE DOES THE MAN GET ALL THE ENERGY FROM? Cannot believe the string of new dates coming out. The E Street Band reunited for The Rising in 2002, but I would argue that the classic E Street Band sound didn’t return until 5 years later with this track off Magic. 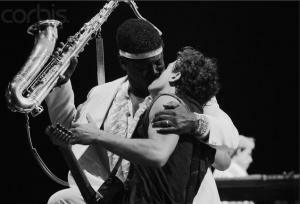 The groove is lifted straight from “Tenth Avenue Freeze Out,” with Clarence’s burly sax still blowing Bruce down the street just as it did 30 years earlier. 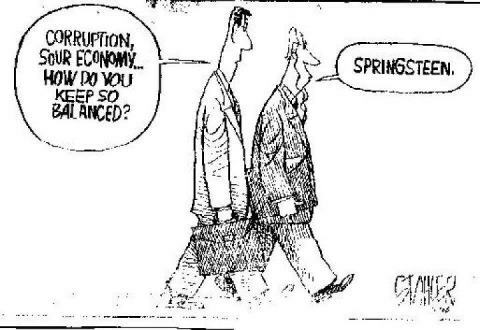 A great thank you to the creator of this little gem! Speak your mind – without the fear of stuttering! 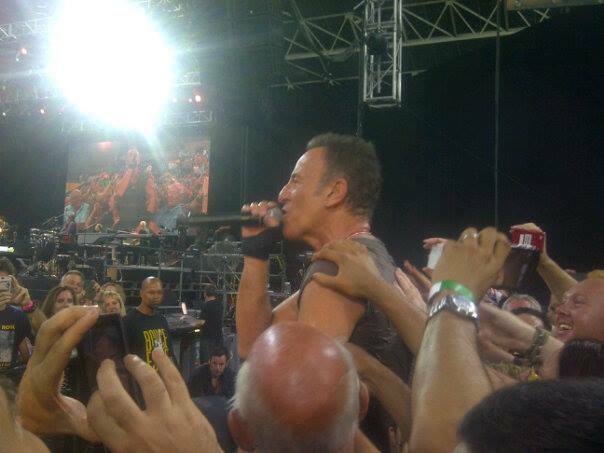 Bruce fans, please allow me this one non-Bruce post! Or maybe it is not a non-Bruce post, as it has a lot to do with changing your life if you are not satisfied with it. And with perseverance and lots of hard word. 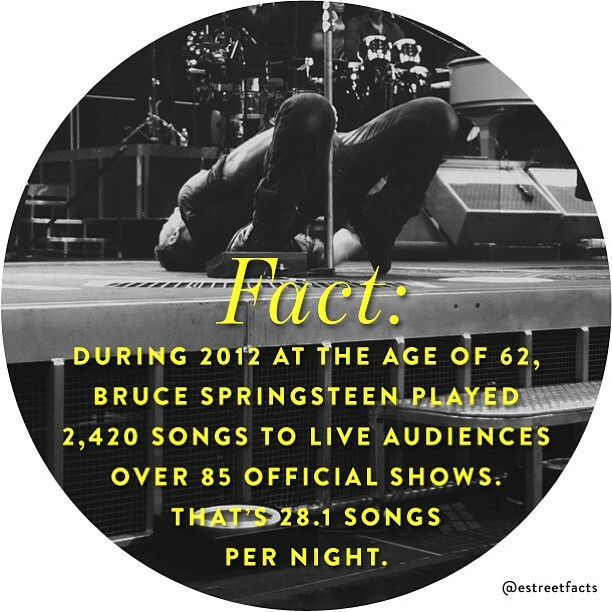 Things we all know are important parts of the Springsteen magic we all love. After three years of rather intense study I am now at the point where it is still a surprise to discover new songs that I do not know yet. Still loving the long road of discovery! 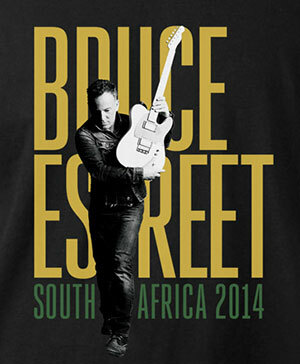 I am happy to report that Bruce’s name has been mentioned by the top promotor of shows in SA as one of the possibilities of the future. I also know this as a very thin branch – but I have grasped it with enthusiasm and good faith. 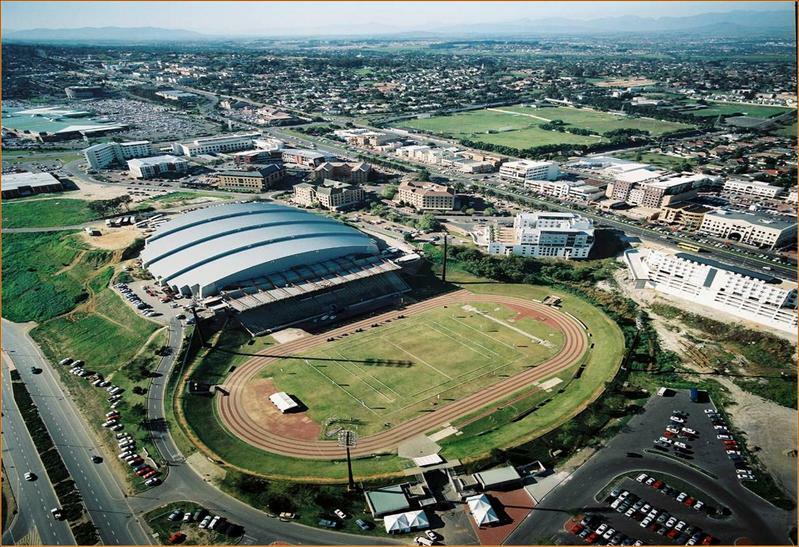 Most shows in the recent past have been in Johannesburg and Cape Town – the first being the home of my friend who travelled with me to Sunderland and Manchester, the second being about ‘n hour’s drive from my home. 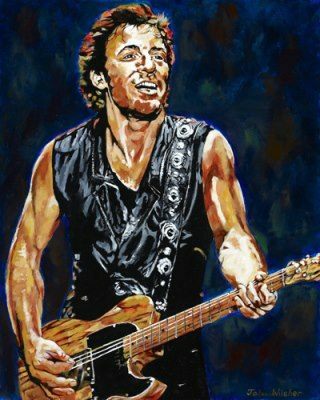 As always, dreaming about a Springsteen show has filled my with joy and a feeling of being young and full of life. PS. 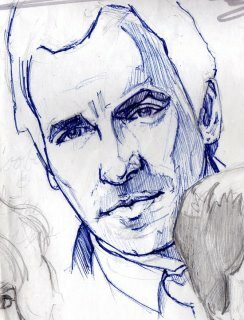 Thanks to the unknown artist for the wonderful sketch! It rips by at such a hyperspeed pace, goosed by Max Weinberg’s rapid beat and the fast-fingered keyboard work of Roy Bittan and Danny Federici, that it’s easy to miss the depth of this peppy number off The River. Springsteen was taking a page from the Lennon/McCartney playbook by couching some of his deeply personal lyrics in a high-tempo number. In fact, if this song has a drawback, it’s that it takes that strategy too far to the extreme. If your ears pop, you could miss the message. 1) First and foremost, the healing and transcendent power of love and community. This is, perhaps, one of the most central concerns of his life. His songs are full of it. 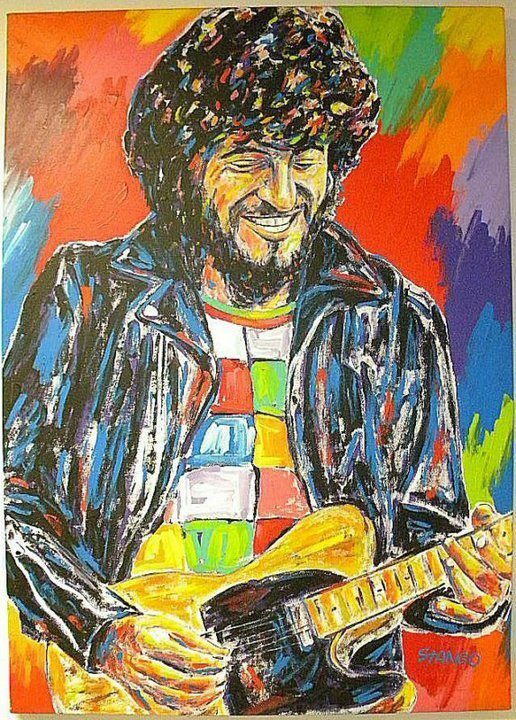 The ecstatic sense of abandon, fusion and joy at his concerts feature it. Wrecking Ball is a good example of this. This song, the closing track off Magic (not counting the “hidden” track “Terry’s Song,”) shows some signs of strain as it attempts to be the all-encompassing anthem to sum up the disparate themes of that standout album. Still, it swings for the fences with such gusto that it’s still quite powerful, a damn impressive track that hits far more than it misses. Where it does miss is in the fact that the hugeness of it can be a bit overbearing. From the atmospheric opening to the slow build-up to the thunderous climax, it groans with the weight of all of the effort that was clearly put into it to create a memorable album closer.